We offer a range of calendars so there’s sure to be one here that meets your requirements! 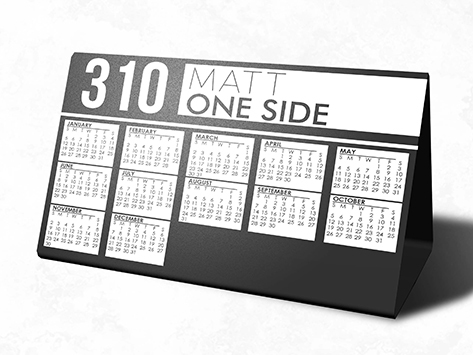 Choose from several different sizes with magnets attached or die-cut designs that sit on desks or counter tops. Our double-sided matt celloglaze adds durability, ensuring they’ll last the full 12 months indicated on the calendar and all the daily activity that it’s subjected to as the recipient mulls over their schedule.